Beginning in ancient Han dynasty (206BC– 220AD), the Silk Road served as the trade routes especially for silks exported from China though many other goods were traded. According to the modes of transport, the Silk Road was divided into Land Silk Road and Maritime Silk Road, the former, which we generally refer to, started from China’s ancient capital Chang’an (now named Xi’an) and ended in Rome through the Hexi Corridor, Central Asia, Afghanistan, Iran, Iraq, Syria, Turkey and other regions. With a total length of some 6440 kilometers, the Silk Road was an important link connecting the birthplaces of ancient civilizations in the world such as China, India and Egypt from the 2nd to the 14th century, and then played a significant role in the communications between the East and the West in economy, politics, culture and other aspects. 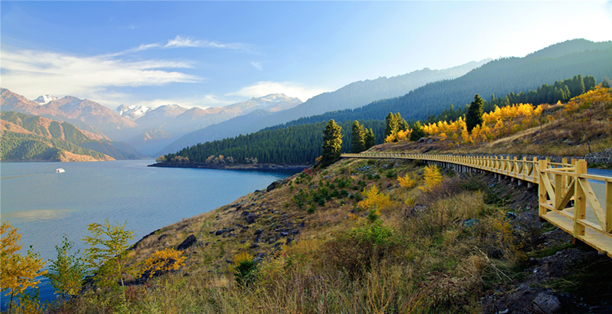 Since the “One Belt, One Road” initiative proposed, the Silk Road has received more attention, so does the glorious landscapes along it. Hereinafter is one of the itineraries we customized for our customers to enjoy the beautiful scenery there, hopefully it could be some reference for those who are planning a Silk Road tour. Program: Upon arrival in China through the border Torugart or Irkeshtam from Kyrgyzstan, be met at the land port and transferred to Kashgar for hotel check-in. 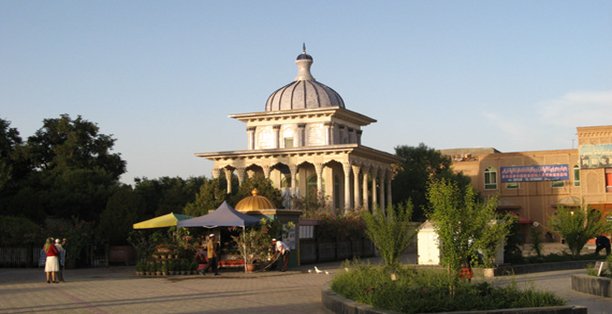 Program: Be driven to visit the Karakuri Lake (it is about 250km from Kashgar and the driving time is about 5-6hrs). After visiting there be driven back to Kashgar. 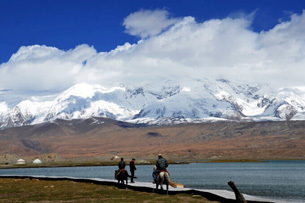 --Karakuri Lake: Covering an area of 10 square kilometers, Karakuri Lake is about 30 meters deep with an altitude of 3,600 meters, and it is an alpine glacial erosion lake famous for its reflection of snow mountains around. With grassland, herds and mountains decorated, Karakuri Lake is really charming. Program: Full day tour in Kashgar, visit the Sunday Bazzar, Idgar Mosque, Abakh Khoja Tomb and Kashgar Old Town. --Sunday Bazzar: Bazaar means market in Uygur language, the famous Sunday Bazzar (or Kashgar Bazaar) is a traditional trade market with a history of 2000 years. It is the largest international trade market in northwest China. More than 5000 stalls and thousands of commodities are found here. --Idgar Mosque: It is not only the biggest mosque in Xinjiang Uygur Autonomous Region, but also one of the big mosques in China. 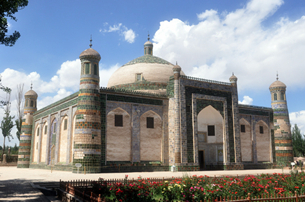 The great mosque was built in 1442 with an area of 16, 800 square meters. Light green is the featured color of the gate and elaborate carvings are everywhere on it, representing classic Islamic characteristics. 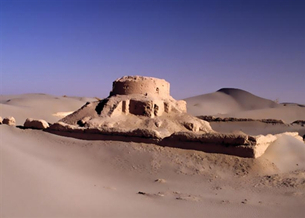 --Abakh Khoja Tomb: It is a key cultural relic protection unit in Xinjiang. Covering an area of 2 hectares, Abakh Khoja Tomb is a typical Islamic architecture with 72 members of five generations buried in it. The other name of it is Fragrant Concubine Tomb for a famous concubine of Emperor Qianlong in ancient China’s Qing Dynasty was also said to be buried here. --Kashgar Old Town: It can be said a lively scroll painting of Uygur folk custom. Covering 4.25 square kilometers and inhabited by some 126,800 people, the old town district reflects both the city's ancient past and the peaceful present lives. Streets in the district are crisscrossed, and most houses are soil-timber or brick-timber structures, some of which have been standing over 100 years. Kashgar Old Town is the only labyrinth of urban block featuring Islamic culture in China. 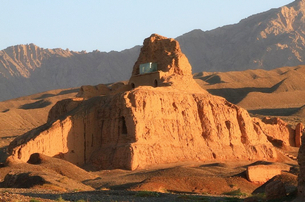 Program: Today be driven to Shache County (it is about 240km from Kashgar), and visit the Tomb of Ancient Shache King. Then free time for the rest of the day. --Tomb of Ancient Shache King: It covers about 1050 square meters, though after hundreds of years, its mural patterns, construction materials and structure layout are preserved well, attracting numerous visitors. Program: Be driven to Hotan today (it is about 300km from Shache and the driving time is about 6-7hrs), on the way will drop in Yecheng County to have a rest. Program: In the morning visit the Hotan Museum and Hotan handmade silk workshop, in the afternoon visit the Jevac Temple Ruins of Hotan. --Hotan Museum: Built in 1995 with total scale of 3,400 square meters, the museum collects more than 9,000 cultural relics, most of which were excavated after the establishment of New China and some were donated by local people. The relics in Hotan Museum are vivid presentation of glorious manual textile technology, pottery sculpture, painting art and Buddhist culture of Hotan area. 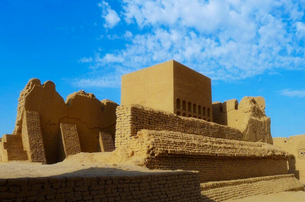 --Jevac Temple Ruins of Hotan: Located in the east of Hotan, it is a key cultural relic protection unit in China. Covering 2,370 square meters, the scenic area is a site of Buddhist temple complex with a Buddhist pagoda centrally located. Around the pagoda there is a courtyard, with exquisite statues of Buddha and Bodhisattva standing on both sides and some frescos on the yard walls. 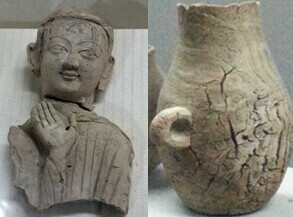 Jevac Temple Ruins is the only one featuring Gandhara art among the well preserved Buddhist temple sites in Hotan. Program: Today be driven to the Taklamakan Desert. Be transferred to the foot of Mazartag Mountain by go-anywhere vehicle and pitch the tent there. 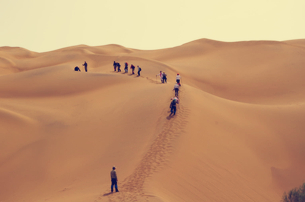 You can choose to ride a camel or hike with the team to enjoy the beautiful scenery of the desert. Stay in tent tonight. 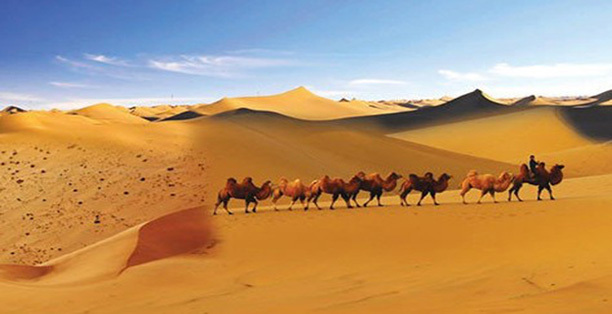 --Taklamakan Desert: Situated in the middle of Tarim Basin of Xinjiang Uygur Autonomous Region, it is the largest desert in China and the second largest flow desert in the world. 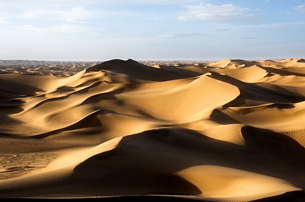 The desert stretches 1,000 kilometers long and 400 kilometers wide, covering an area of 330,000 square kilometers. 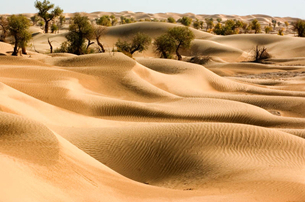 Temperature difference of Taklamakan Desert between day and night is even more than 40℃ some times, and in sweltering summer the maximum temperature can reach 67.2℃. Program: Full day hiking in the desert (caravan of camels will be accompanied). Stay in tent tonight. 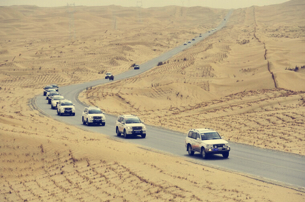 Program: Be driven out of the desert area by go-anywhere vehicle, change to take tourism coach and drive to Kucha via the newly built highway in the desert. Program: In the morning visit the Kizil Thousand-Buddha Caves, in the afternoon visit the Subashi Ancient City Ruins and the old urban district of Kucha. --Kizil Thousand-Buddha Caves: Also called Kizil Grottoes, Kizil Thousand-Buddha Caves is located at cliff of Mingwutage Mountain. As one of the Four Grottoes in China (the other three are Mogao Grottoes, Longmen Grottoes and Yungang Grottoes), it is the oldest one which built in the 3rd century and completed in the 9th century. Over two hundreds of grottoes were numbered in the scenic area, and there are frescos in more than 80 of them. --Subashi Ancient City Ruins: In ancient times, Subashi was a famous country for most of the people there are females. The ancient city was built along mountains and it covers about 5,000 square meters. Its surrounding terrain is of great strategic importance with three mountains standing opposite each other in front. Though exposed to a lot of weather, the wall piers, beacon towers and observation holes are still discernible. Program: Today be driven to Korla (it is about 300km from Kucha and the driving time is about 4-5hrs), after arriving there visit the Lotus Lake and then be transferred to hotel for rest. --Lotus Lake: Located about 20km from Korla, it is one part of the Bosten Lake and be named because of the rich lotuses. Its water is in dark blue and the depth is about 1.5-1.7meter. In summer and autumn, the lake is decorated with thick reeds, blooming lotuses, wild geese and ducks, attracting numerous visitors. Besides, there are waterside dinning halls, above-water platforms, pleasure-boats, yachts, speedboats, etc. in the scenic area, proving tourists various relaxing activities. Program: Be driven to Turpan today (it is about 380km from Korla and the driving time is about 5hrs), after arriving visit the Karez Well System and the Ancient City of Jiaohe (Yarkhoto). --Karez Well System: As famous as the grapes in Turpan, Karez Well System was once the main source of water for both field irrigation and daily life in ancient times. Even till now, it continues to play a vital part in local social economic lives. Initiated about 2000 years ago in ancient China’s Han Dynasty, most of the present under-drains of Karez Well System were built in Qing Dynasty (1644-1911). 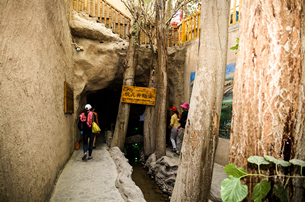 Known as one of the three great constructions in ancient China (the other two are the Great Wall and the Beijing-Hangzhou Grand Canal), Karez Well System is made up of over 1100 under-drains, if put together they measure 5000km, that is longer than the distance between New York and California (3691km). 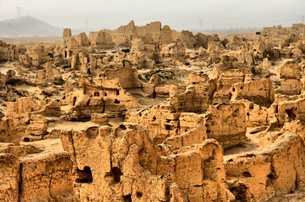 --Ancient City of Jiaohe: Also known as Yarkhoto, it is viewed as the world’s largest, oldest and the best preserved ancient city site composed of earth constructions with more than 2,000 years. In 1961, it was listed as a key cultural relic protection unit in China. Ancient City of Jiaohe can be dated back to the second and the fifth century BC, and it was damaged during the 9th and the 14th centuries because of wars. Covering an area of 360,000 square meters, it is reputed as “the most perfect ruins in the world”. 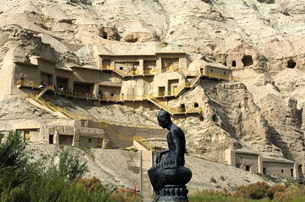 Program: Visit the Ancient City of Gaochang, Bizaklik Thousand Buddha Caves, and on the way see the Flaming Mountain. --Ancient City of Gaochang: The name means “King's City” in Uygur language. As a matter of fact, it was indeed served as the capital of Gaochang Kingdom (460-640) in ancient time. Gaochang originally had been a stopping point for merchants’ trader traveling on the Silk Road and gradually became the political, economic and cultural center of western China. Ancient City of Gaochang site spans an area of some 200 hectares and was listed as one of the country's key protected cultural sites in China in 1961. 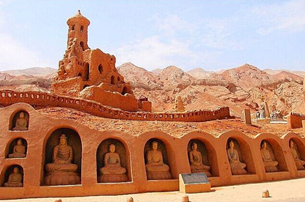 --Bizaklik Thousand Buddha Caves: There are more than 10 grotto group sites in Turpan and collectively called Gaochang Grottoes, which is one of the four representatives of Buddhist grotto art in the world. Ever served as a royal temple, Bizaklik Thousand Buddha Caves site is the one with most grottoes and richest content of murals among Gaochang Grottoes. Initiated over 1400 years ago, the caves scatter on a cliff with three layers. Today 83 grottoes can be found and among them 40 were built with murals. --Flaming Mountain: Located on the north route of ancient Silk Road, the Flaming Mountain is the most famous attraction in Turpan. It is made up of red sandstones, conglomerates and mudstones formed in Jurassic, Cretaceous and Tertiary periods. 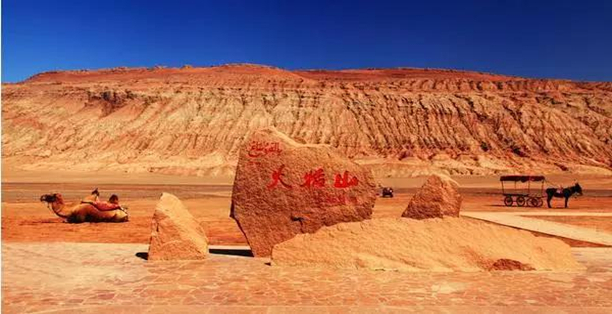 With a total length of 98 kilometers and width of 9 kilometers, Flaming Mountain is the hottest place in China, the temperature there can reach 47.8 degree centigrade and the land surface temperature can get to 70 degree centigrade in summer. 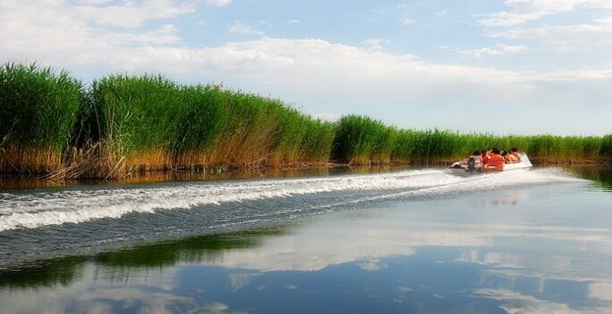 Program: Today be driven to Urumqi first (it is about 200km from Turpan and the driving time is about 3hrs), then after about 1.5hrs driving from Urumqi arrive in Fukang City, to visit the Heavenly Lake, after the tour will be transferred back to Urumqi for hotel check-in. --Heavenly Lake: In a shape of half-moon at an height of some 1900 meters above sea level, the Heavenly Lake is just like a green pearl inlayed into the northern side of the Heavenly Mountain. It stretches from north to south with over 3000 meters in length, 800-1500 meters in width and 105 meters in deepest point. The water of the lake comes from melted snow of the surrounding mountains, making the place a well-known summer resort. In 1982 Heavenly Lake became one of the first batch of national key scenic spots. Program: Be transferred to airport for the flight departure. The wonderful tour is over. There are far more amazing places along the Silk Road waiting for exploration and the scenic spots mentioned above is just like a drop in the bucket. The magnificent desert, the marvelous grottos and frescoes, the mystic ancient tombs and ancient city ruins, the tranquil alpine lakes, etc. surely will impress visitors. If you want to divorce from the hustle and bustle of life, you may as well take a Silk Road tour.